Hide deals from seller "Diva's Closet"
Limit 1 per person. Valid toward anything in the store. Full value of Gift Certificate must be redeemed in 1 visit. Promotional value expires 180 days after purchase. 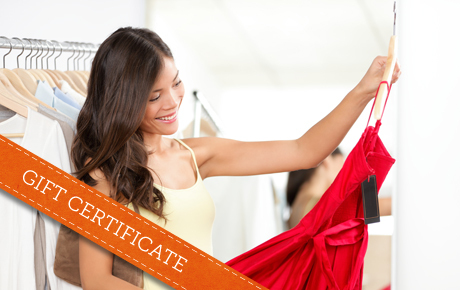 Snag the latest styles for less with 50% off a Gift Certificate to Diva's Closet in South Chicago Heights ($20 value). This fashion boutique provides the latest apparel for everything from Friday night parties to Sunday brunch. The owners of Diva's Closet have a true passion for fashion. They opened Diva's Closet to provide unique and trendy styles to the south suburbs of Chicago, and they proudly offer a friendly, one-of-a-kind shopping experience. Browse their collection of dresses, tops and pants and find just the style you're looking for. Diva's Closet also sells shoes to adorn your feet and jewelry to complete your look. A clothing boutique in South Chicago Heights offering the latest fashions for women.